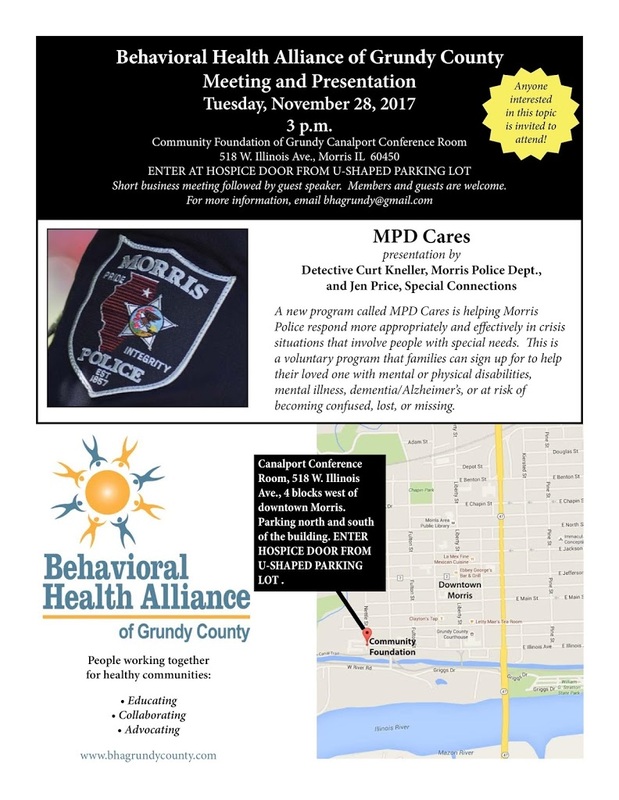 Local residents are invited to attend the Tuesday, November 28 meeting of the Behavioral Health Alliance of Grundy County to learn more about MPD Cares, a new program of the Morris Police Department to help respond more effectively to crisis situations that involve individuals with special needs. The meeting starts at 3 p.m. with a short business meeting, followed by the presentation. The meeting will be held at the Canalport Conference Room, located at 518 W. Illinois Ave., Morris.